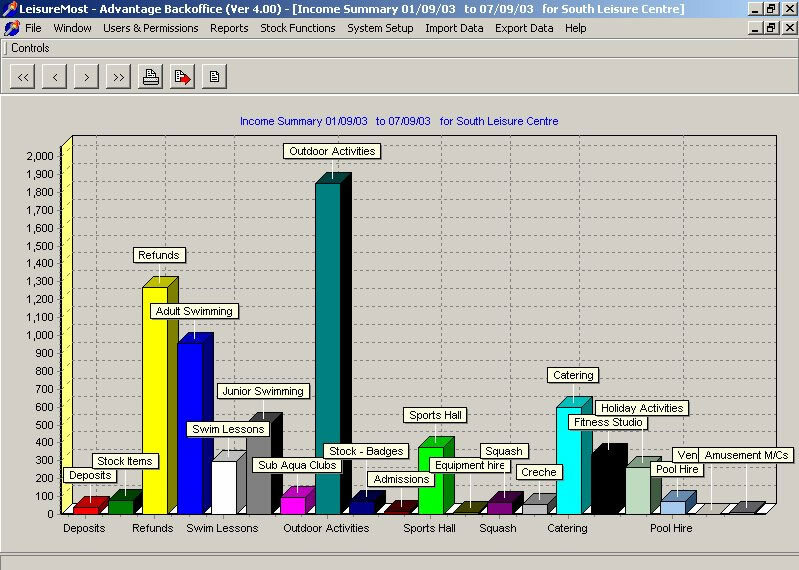 Our fast and easy to use Point of Sale software has been designed specifically with the leisure industry in mind. 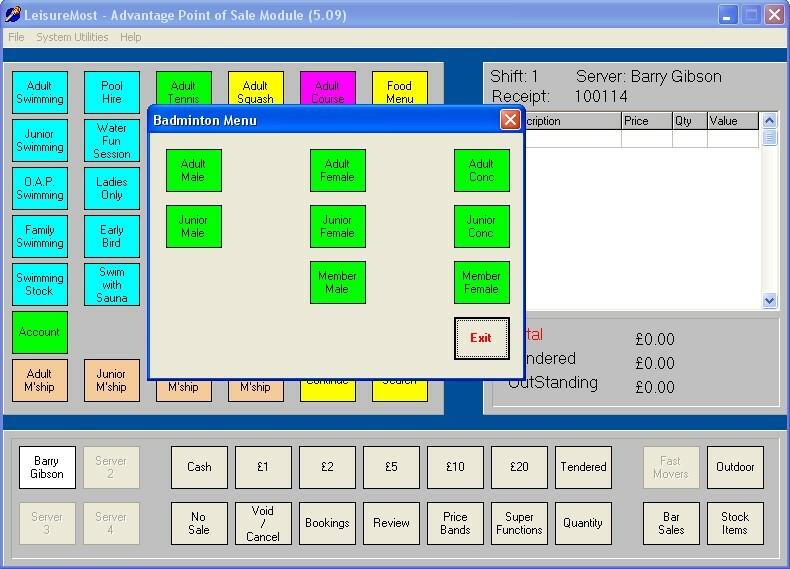 It can be adapted for use in any leisure centre, gym or sports club either as a stand-alone touch screen POS terminal or with a mouse for conventional monitors. Up to 168 keys are available on 4 user definable pages. Menus and sub-menus can also created for items you may want to group. 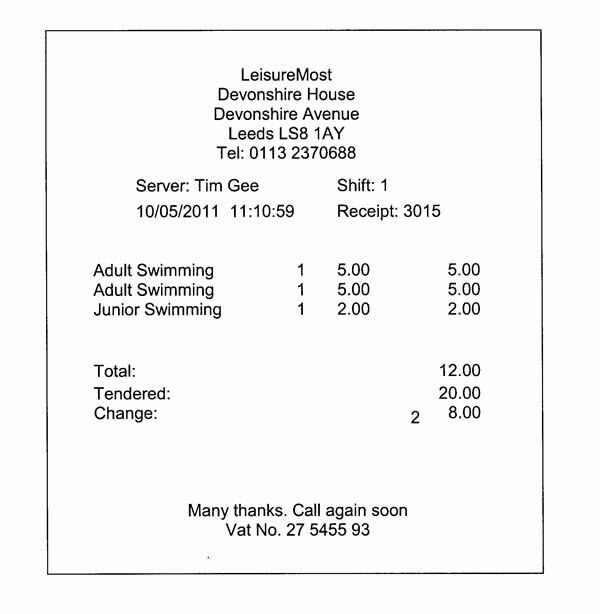 When linked to our Membership module, card readers may be used with the till to give automatic pricing for membership categories, and keep track of visits. 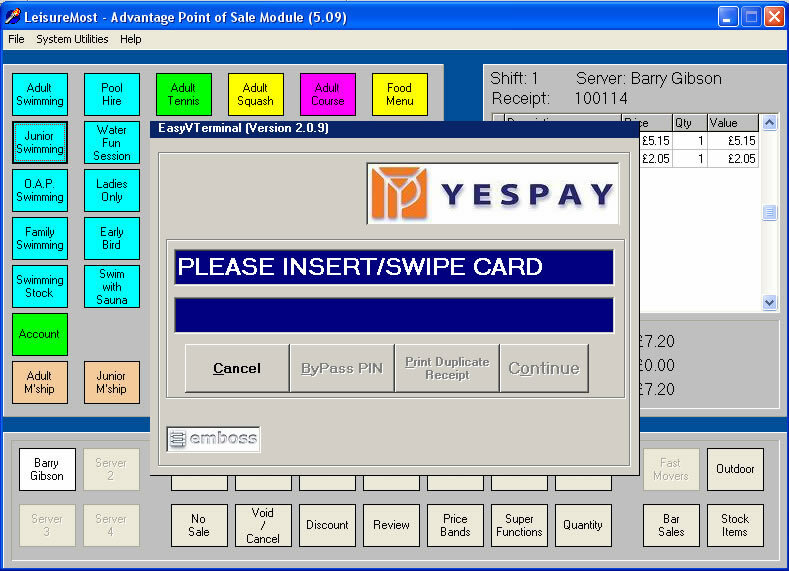 All methods of payment are supported including Chip & Pin, linked to YesPay International. 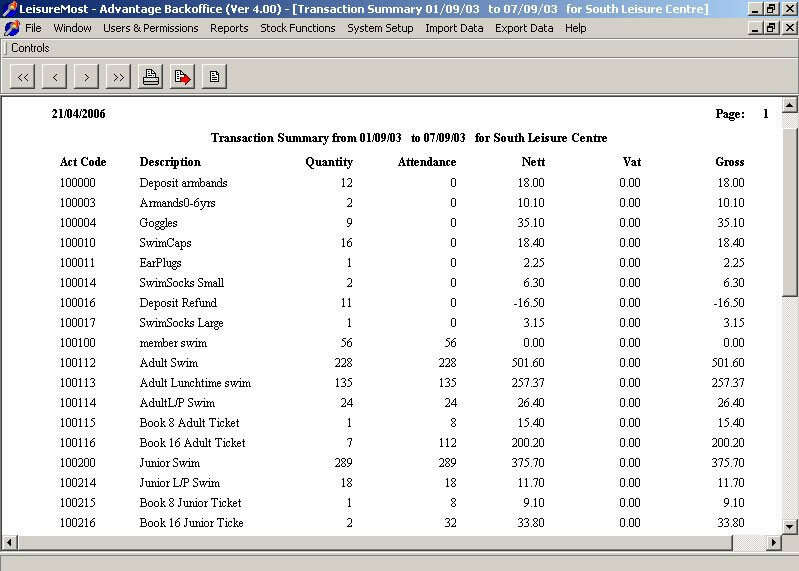 A full audit trail may be reviewed on screen, while transaction data is transferred to the powerful and flexible Back Office module for reporting. 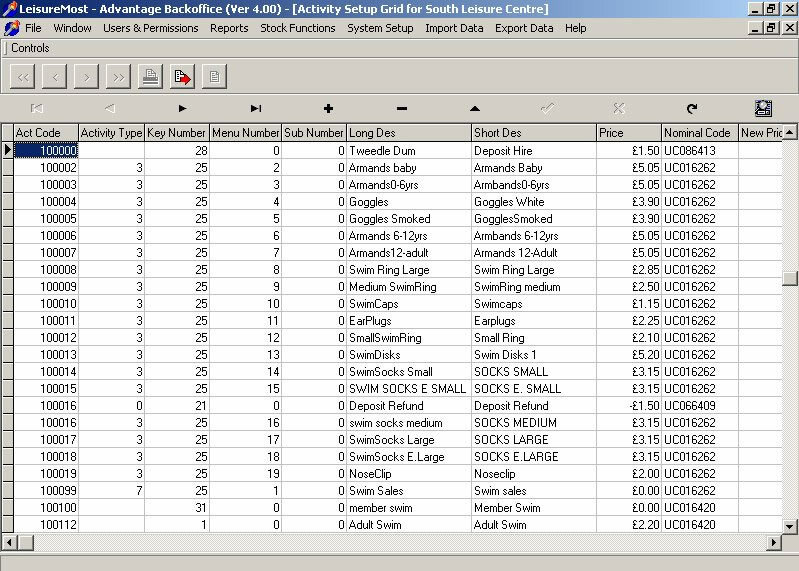 The system also supports full stock control and reports, planned price changes and happy hour pricing. 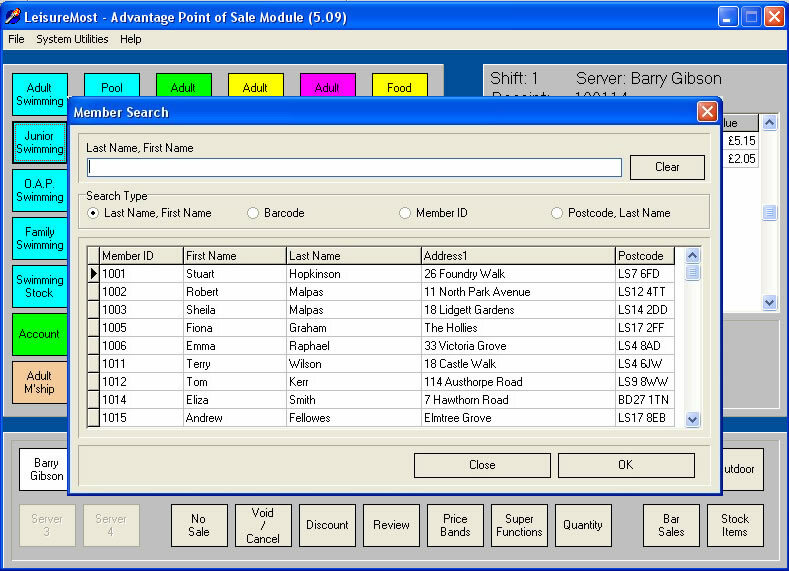 The Back Office system is the control centre for the Point of Sale module. It has 2 major functions - to setup and maintain the till activities, and to provide reports and enquiries based on transaction data generated by the Bookings and Point of Sale systems. 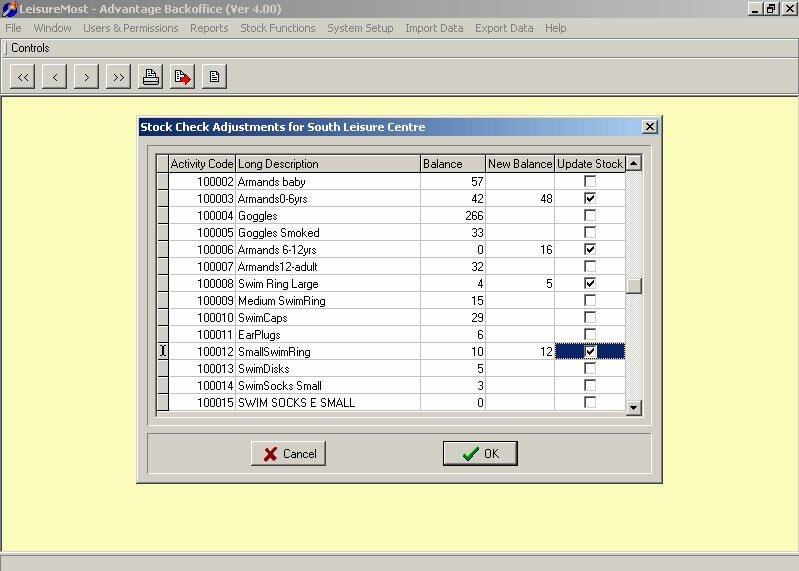 The system can be configured in a number of ways - from a single centre with it's own back office, to a headquarters supporting a number of centres on a local or wide area network. 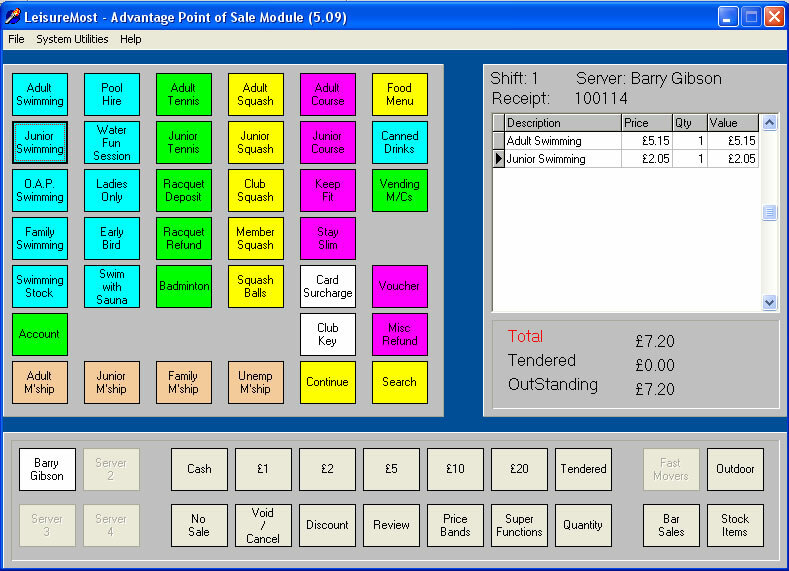 The backoffice communicates with the till at set intervals convenient for your centre. 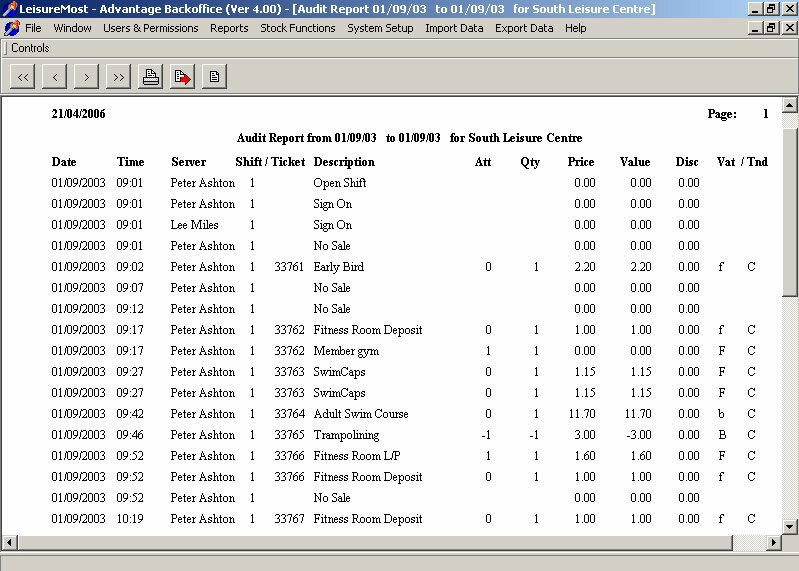 A large number of Back Office reports are available, including an 'ad hoc' facility for enquiries, and stock control reporting. You can export them directly to other Windows applications (Spreadsheets and Word Processors), display them on screen or print them for filing.